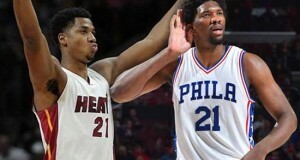 Philadelphia 76ers center Joel Embiid advanced to the semifinal round of the NBA’s All Star Skills Challenge before falling to Chicago Bulls forward Lauri Markkanen. For more on this story, click here. 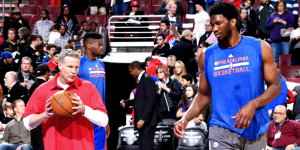 A New Jersey police officer who was recently shot while on duty had an opportunity to meet Philadelphia 76ers center Joel Embiid. For more on this story, click here. 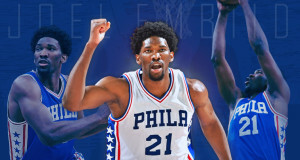 The Philadelphia 76ers have reportedly come to terms on a 5-year contract extension with center Joel Embiid. For more on this story, click here.